And on a boring note - keep on top of your wick maintenance - it'll literally stop your hard earned money from going up in smoke. Trim regularly, so that the wick doesn't get too long, which results in black smoke marks up your walls. It'll also prevent uneven burning of the wax, which can make it burn too fast. But back in the real world, I have searched elsewhere for my wax fix in an effort to spend less than the price of a pair of shoes on a candle, and TK Maxx has proved to be a trusty supplier. 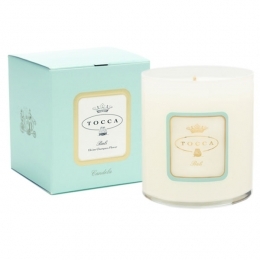 I am kept in plentiful supply of this vintage looking number by Tocca which can be as little as £6.99 - lovely packaging and good choice of fragrances too. 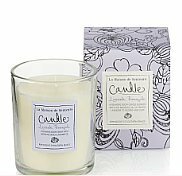 Another brand always at TK is Bahoma - you literally can't move in the candle section for these beauties, that are on average £5.99, and yet sell for £25.95 on the Bahoma website. 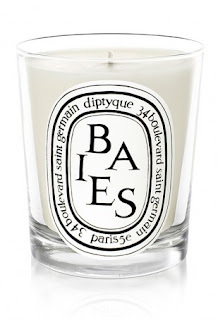 They burn well and give a good strong smell, and I like the plain, unfussy clear glass votive. Black Fig is my favourite, and always easy to get hold of. Alternatively, if it's good enough for Her Majesty, it's good enough for me. 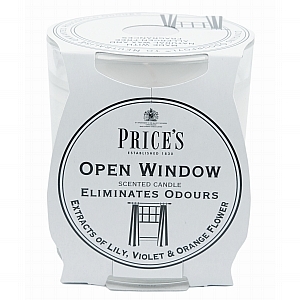 Price's have been making candles for years, and I love the utility packaging and fresh, clean smell of their Open Window candle. You can pick it up in Waitrose for £4.95. Check out their Heritage range too. 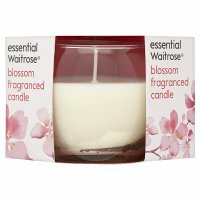 Bargain basement award goes to Waitrose's Blossom Candle, from their Essential range, at a penny pinching £2.20. You've got to love that price point. 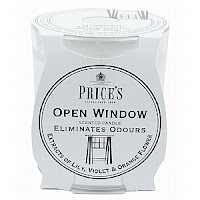 Doesn't smell cheap, and looks tasteful in its plain glass votive. Doesn't last for quite as long as the others, or smell as strong, but for £2.20, you can't hold a candle to it (soz about the bad pun).